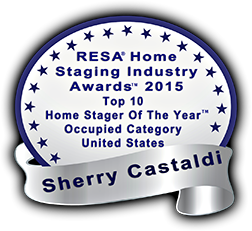 You are here: Home / Home Organizing / Organizing? The answer is not always more space. The answer may be less stuff. Organizing? The answer is not always more space. The answer may be less stuff. Aspiring to be organized in your home, office or life? Do you feel if you buy more containers, shelves, cabinets and storage units that will solve the problem? What happens when the space just can’t hold any more stuff? That moment when not one more piece of paper can be jammed into the drawer??? This is an extremely common dilemma for those who struggle with organization. “I just need another cabinet.” “I just need to install more shelves.” Another drawer, shelf, container, cabinet or closet is not always the answer. Sometimes it is the answer, but many times NO it is not. The reality is that no matter how much space you have, if you never sort or purge through it, eventually your space will fill up and run out. This is the time, the moment of reckoning, when the real task of needing to organize hits you. This may be an undertaking you’ve been avoiding for years. The first step is to recognize you have too much stuff whether it is paper or household items for the space that is available to house these items. You must begin to let go of the excess to be able to organize what you have. 1. Understand that organizing is a process it’s not a once and done task. It’s like cooking, laundry and cleaning; it needs to be addressed daily or weekly to maintain organization. 2. Enlist professional help to assist you with this process since you will need to learn how to approach this mission. Typically if you haven’t been doing this on a regular basis you will need to learn new skills and should have support in learning this activity. 4. Categorize your “keep” items. Like items with like items. 5. Once you have everything categorized, you can visually see what type and size of holding receptacle (whether it be folders or storage containers) is needed. 6. Label these folders, containers, bins or whatever receptacle you are using to house these items. This is how you will know what is in there for future reference. 7. Next consider where these containment holders (folders into a filing cabinet, storage containers onto a shelf, or into a cabinet, garage or attic) can be stored and neatly move them into their appropriate home. Realize the answer is not always more organizing containers. Sometimes the cold hard truth is it’s time to “Let It Go”. The more things you can let go of the more space you will gain, keeping in mind the goal is not to fill up all the space again. Open space that allows your eye to rest as you scan the room is soothing. Simplify your Life. 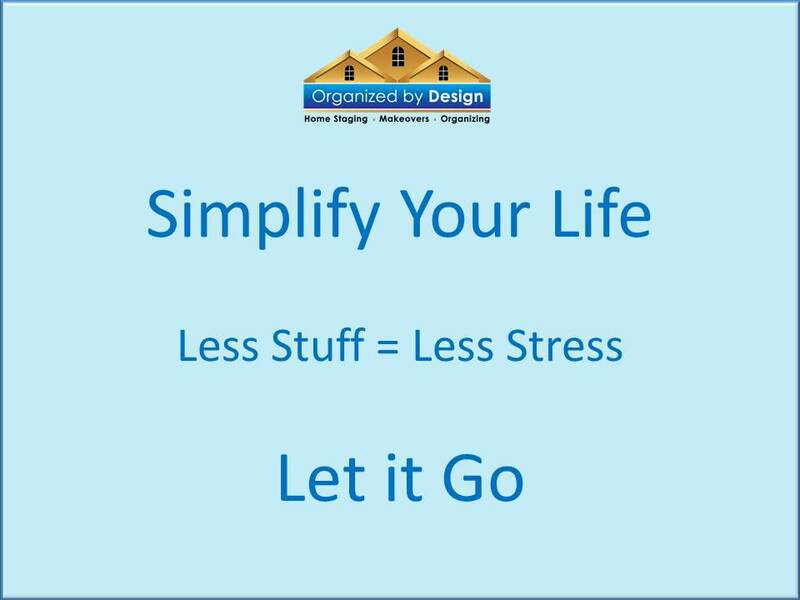 Less Stuff = Less Stress and don’t we all want less stress for a calmer, more peaceful existence?